Tonight I ran 3.35 miles! With no walking breaks! And no pain! It didn't feel easy, which is a huge adjustment for me. 3 miles used to be considered my warm-up. But I'm trying to come to grips with the reality that I am basically starting over. And that's okay. I taught myself to run once, I can definitely do it again, right? Running, baby, I'm coming back to you! Get ready for me. 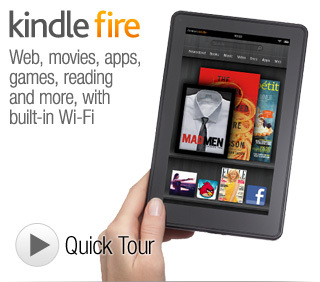 KINDLE FIRE! I never thought I'd jump on the e-reader bandwagon but this bad boy seems pretty awesome. I won't receive it until mid-November, but I'm really looking forward to not hauling 800 page hardcover books with me to and from work. Lululemon Vinyasa Scarf. This is the latest addition to my ever-growing scarf collection. It's so versatile and soft. I'm a whore for Lululemon and proud of it. The Esplanade! This picture shows part of my running route for my Wednesday night Luna runs. I've run along the Charles River about a million times and I never get tired of it. I really love that Boston is such a runner's city.